We were on a canyoning trip recently when we were using a figure-8 abseil device as a block. Over the last eight years, I have probably rigged it over 500 times and never had an issue. However, on this occasion, all the holes in the Swiss cheese nearly aligned until we got down to the final defence – the safety check. Hold on don’t abseil yet, that doesn’t look right. At the time I thought, how could that happen, it would seem pretty unlikely. Later I tried to replicate the failure and found that it wasn’t too hard at all. For those not familiar with canyoning, the figure-8 device is a releasable block. If an abseiler gets stuck, you have a way of immediate rescue by either lowering or converting to a raise. The main advantage of this style of block is efficiency as the rope is already set up for retrieval. All the last canyoner needs to do is change the quickdraw attachment from the anchor to the retrieval rope. A loop formed on the retrieval rope (untensioned). This loop fed over the top of the figure-8 device and pulled the quick draw sling through the large hole. When we did a final safety check, this is how we found it. 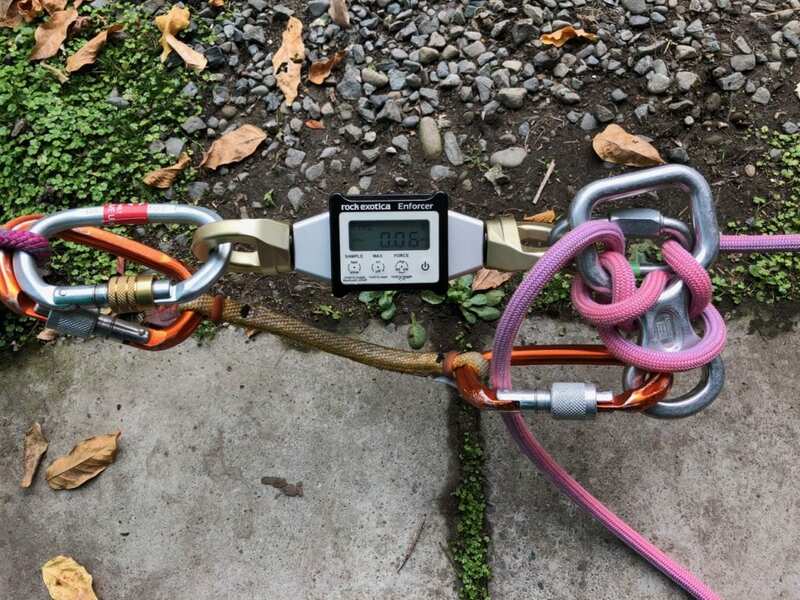 When we tested the setup, it allowed the rope to run through the figure-8 device at less than body weight. 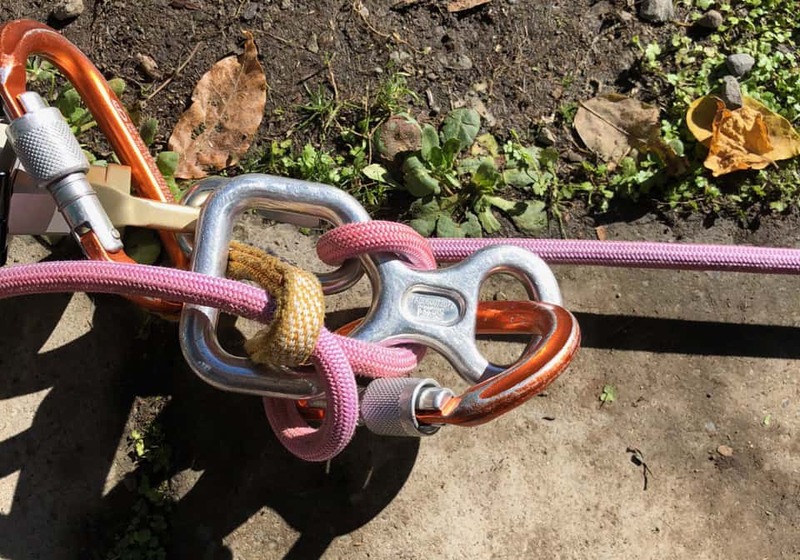 Clipping the retrieval rope through the carabiner on the small hole of the 8 would help prevent it – would not allow the loop to form in the same way. 2. Keep the quickdraw tight where you can. However, this is not always possible. 3. Keep the ring/master point clear of any other rigging (as much as possible). 4. 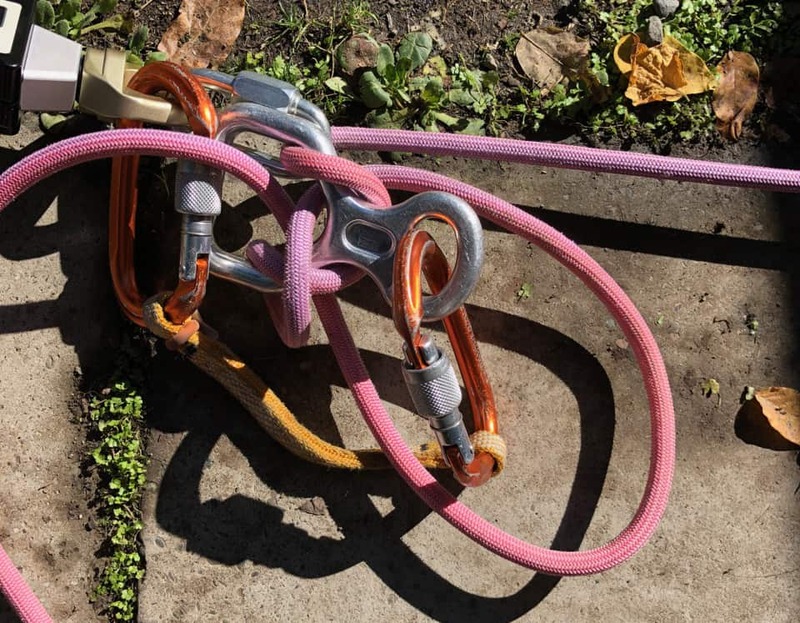 Use a rigging carabiner for additional attachments, e.g., packs, cowstails and handlines. 5. 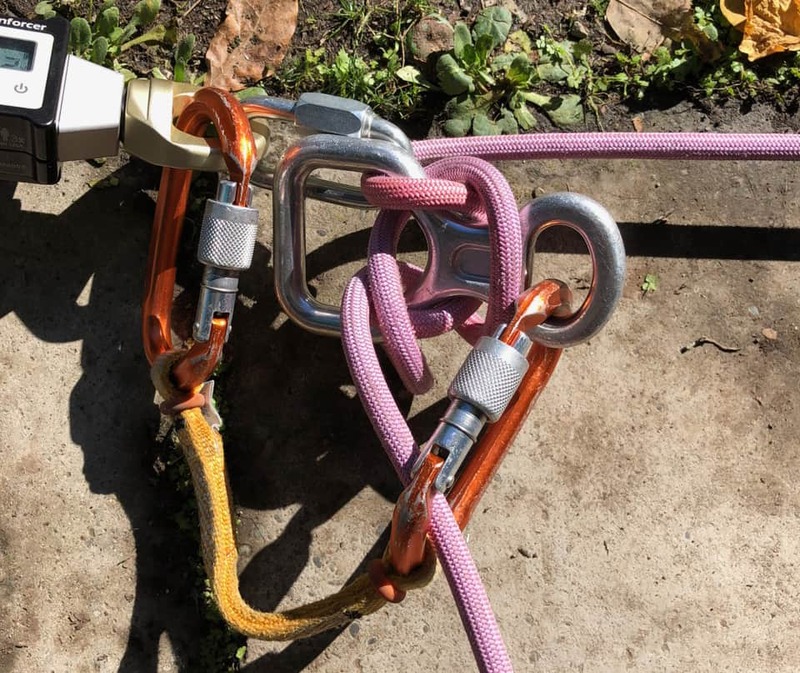 Safety Check – anchor rigging, self, and buddy!!! Do it every time you get on the rope. Your life depends on it. Recognise pitches/starts that present more challenging situations to safety check before loading your system – e.g., remote anchors, horizontal movement. Communicate and work as a team. Awareness when using a stiff rope. Will your rigging set and stay in the same place? If you are unsure, or something doesn’t look right, or you feel uncomfortable about something there is a reason. Work on a culture where anyone can speak up about anything at any time. Questioning is good. As a team, we debriefed the event and realised we all played a part. There is both technical and group management learning. It’s rarely a technical failure on its own. Always keep learning, trying to improve your practice and sharing your experiences with others. Understand how incidents occur gives you insight. Put things in place to prevent you from getting to the last line of defence. We manage risk in a dynamic environment in the outdoors. Sometimes when the unexpected occurs, and the situation or conditions change, and we have not ‘experienced’ it before all we have left is our defences. If the perfect storm arrives are you ready? Grant at Over The Edge Rescue.